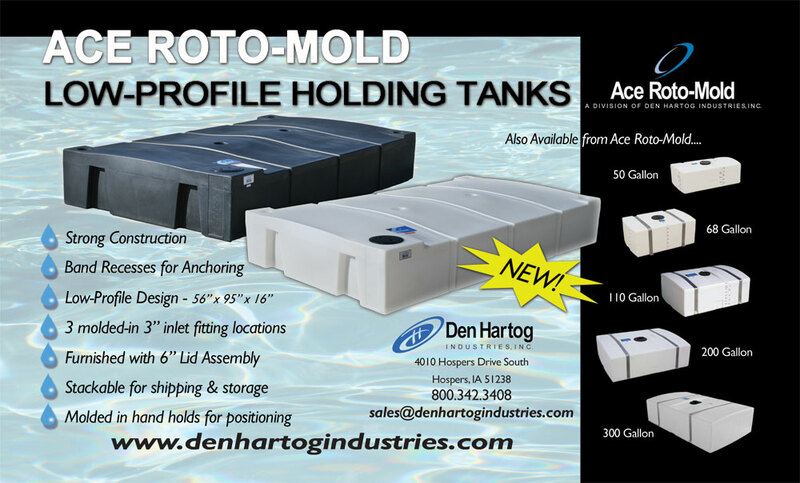 Den Hartog Industries is proud to introduce our new 300 Gallon Low Profile Holding Tank! This 300 Gallon Holding Tank is a freestanding rectangular tank for indoor or outdoor, stationary or transportable applications. Three band recesses are provided around the tank to facilitate anchoring. Tanks feature multiple ports for a variety of plumbing options. Visit the Low Profile Tank section of our website to view product specifications and other Low Profile options available from Ace Roto-Mold.